Steven E. Umstead - 1st Priority Mortgage, Inc. Thank you for choosing 1st Priority Mortgage. Those that know Steve Umstead, know that he is passionate about anything he believes in. For those that do not yet know him, you’ll soon find this to be true. With over 15 years banking experience and 1,700 contacts made in WNY, Steve has invaluable knowledge and experience to help his customers solve challenges that may arise in the homeownership process. He believes the first step is getting to know the borrowers specific wants, needs, and desires. 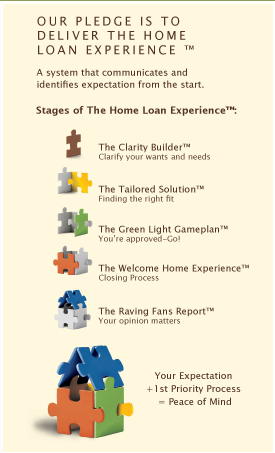 Although the mortgage process has become quite automated, Steve views the process as a journey wherein you will get to know and understand each other as he helps guide you every step of the way. Steve decided to join 1st Priority Mortgage because of its cutting edge technology, and unmatched loan programs. Whether you need VA, FHA, USDA, Conventional, Buy Before You Sell™, or are just wanting to take a 2nd Look™, 1st Priority has programs tailored to match your individual needs. If you’re looking for a specialty program, such as a 203K Rehab Loan, a Doctor Loan, or the newest SONYMA Graduate to Home Ownership program, 1st Priority Mortgage is committed to Delivering the Home Loan Experienceä and Steve is ready to serve your needs. 1st Priority’s core values are rooted in building a life of abundance- finding balance between work and home. Steve’s family is comprised of his lovely wife, Susan, and 2 boys, Hunter and Noah. In the spring, his family spends most of their time on a baseball field, and Steve also coaches a travel baseball team, the ANJO Bombers. Sports continue to keep the Umstead family busy year-round through Football and Basketball seasons, but in a free moment, Steve enjoys Golfing, playing in Texas Hold’em Tournaments, and Fantasy Football. His commitments stretch far beyond work and family, as he also volunteers his time serving many great non-profit organizations in WNY. His ongoing community service includes serving as Treasurer for Mid Erie Mental Health, former Chairman of the Board of Directors for Lancaster Chamber of Commerce, and the Summer Affair Committee for Erie County Hospice where he has served for the past 6 years. Steve takes pride in having the opportunity to assist you and/or your family through one of the biggest financial decision in your lifetime and looks forward to serving you!